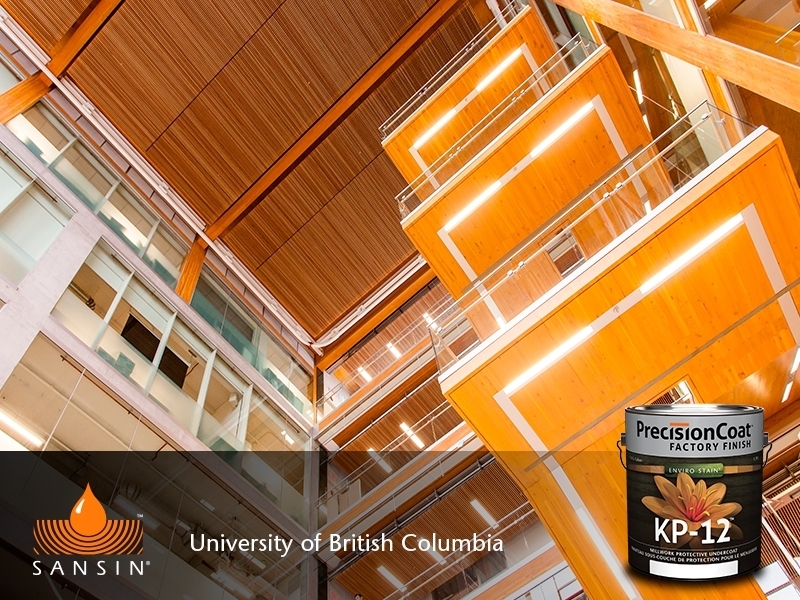 Adaptable wood protection for industrial applications. 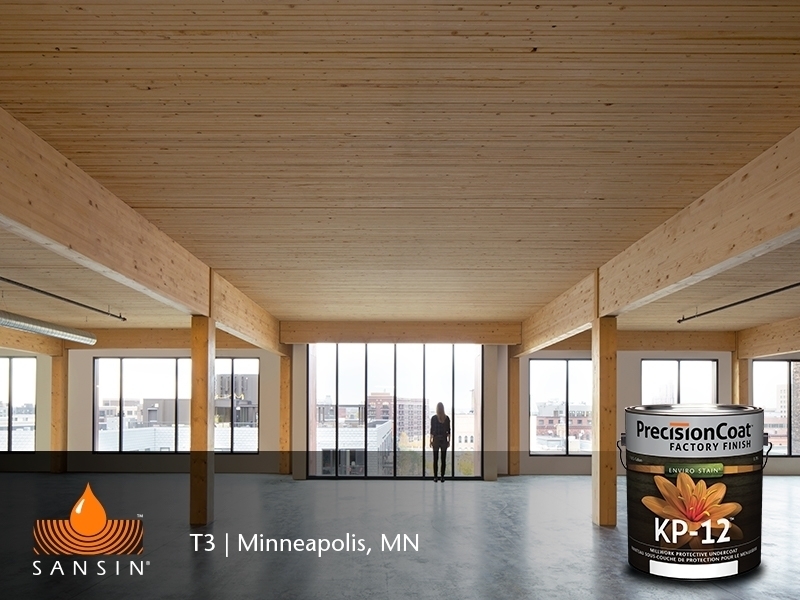 Dramatically improves topcoat performance for timbers, dimensional laminated lumber and engineered wood, while also protecting wood during construction. 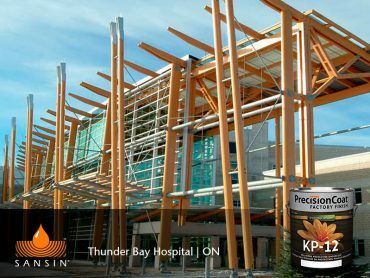 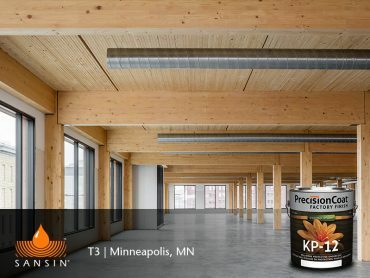 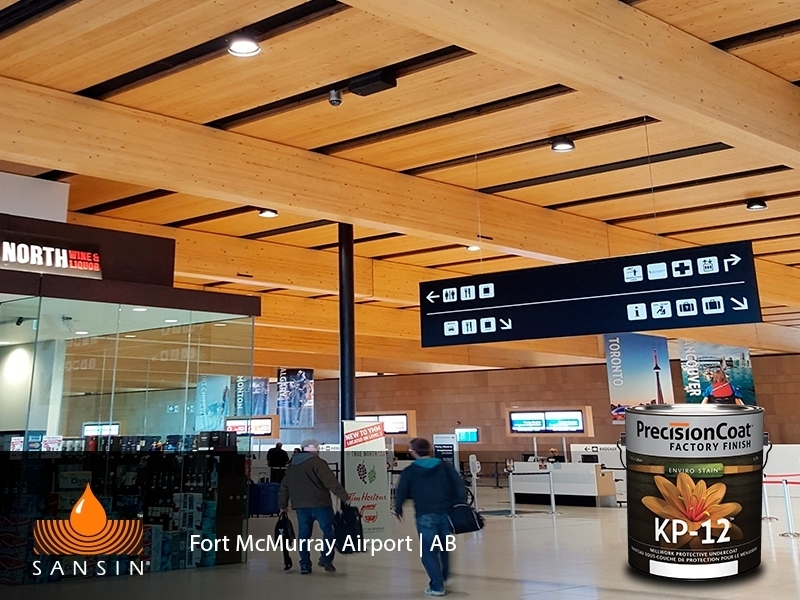 KP-12 is an outstanding penetrating protective undercoat for timbers, dimensional laminated lumber and engineered wood components like CLT that enhances dimensional stability and protects wood from UV degradation and moisture absorption. 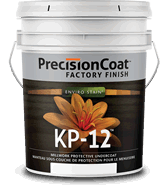 Using KP-12 dramatically improves topcoat performance, while also protecting wood during the manufacturing and construction process and reducing in situ preparation and top coat application costs. 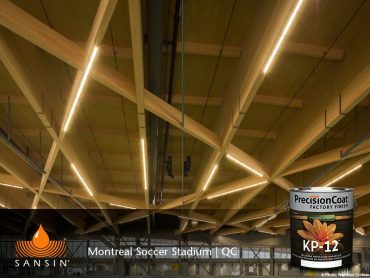 Because KP-12 is imperceptible, it is ideal for projects where beautiful clear or light wood tones are desired. 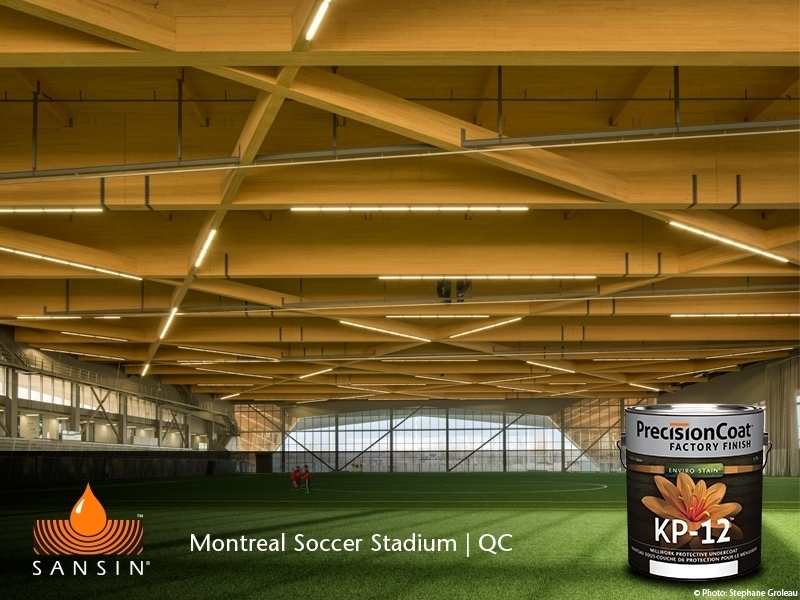 KP-12 is aqueous, low-VOC and available in a range of formulas to reduce swelling, wood rot, moisture absorption and protect against UV degradation. Consult your Sansin representative to determine which formula best meets your needs at precisioncoat@sansin.com. 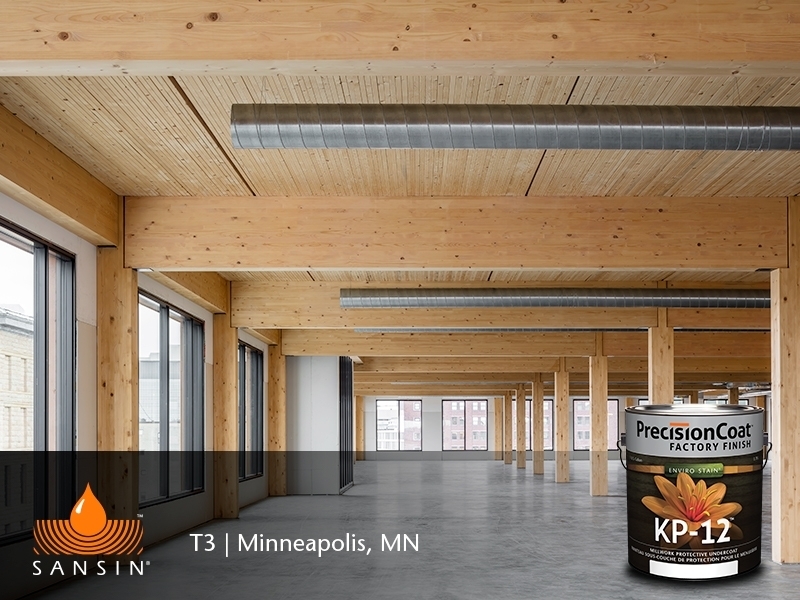 KP-12: recommended as a base coat to protect timbers and engineered lumber against wood rot. 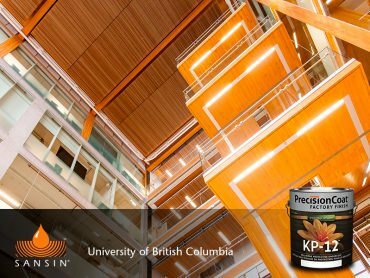 KP-12W: provides enhanced water repellence and excellent hold-out against water absorption that conforms to ASTM 4446. 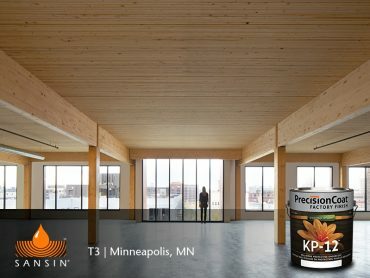 Protects timbers and engineered lumber against wood rot; protects end grain and exposed wood joinery and surfaces that are exposed to weathering and moisture. 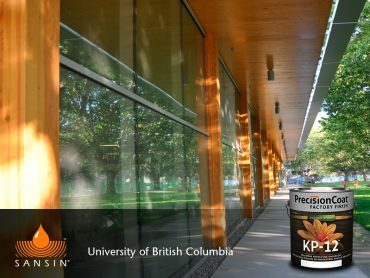 KP-12UV: provides long term UV protection; ideal for timbers and engineered lumber where a clear or light wood finish is desired. 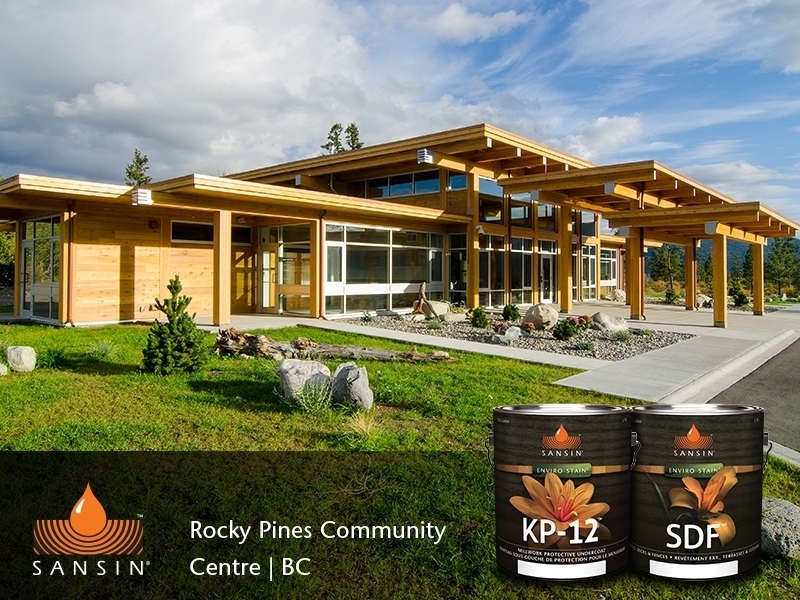 Protects wood against wood rot and weathering during construction. 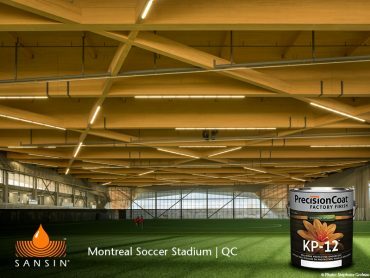 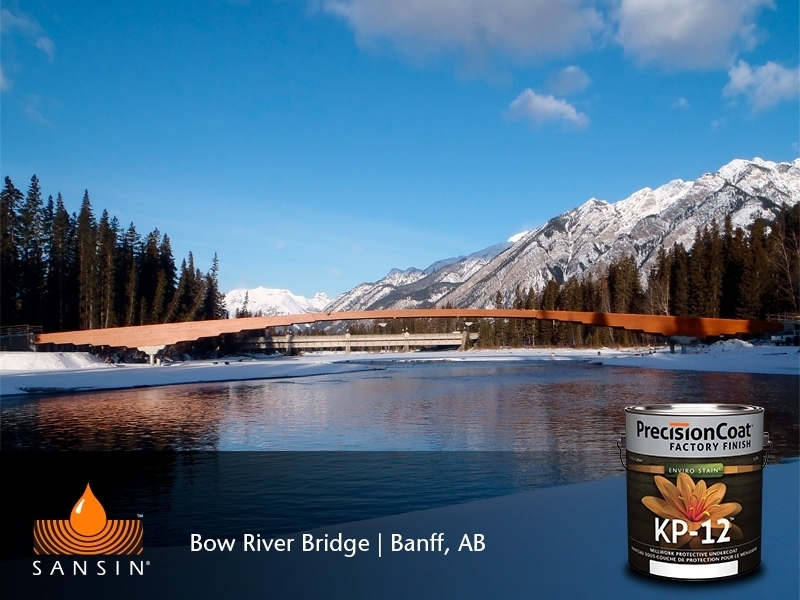 KP-12UVW: combines long-term UV protection with enhanced water repellence and excellent hold-out against water absorption for timbers and engineered lumber. 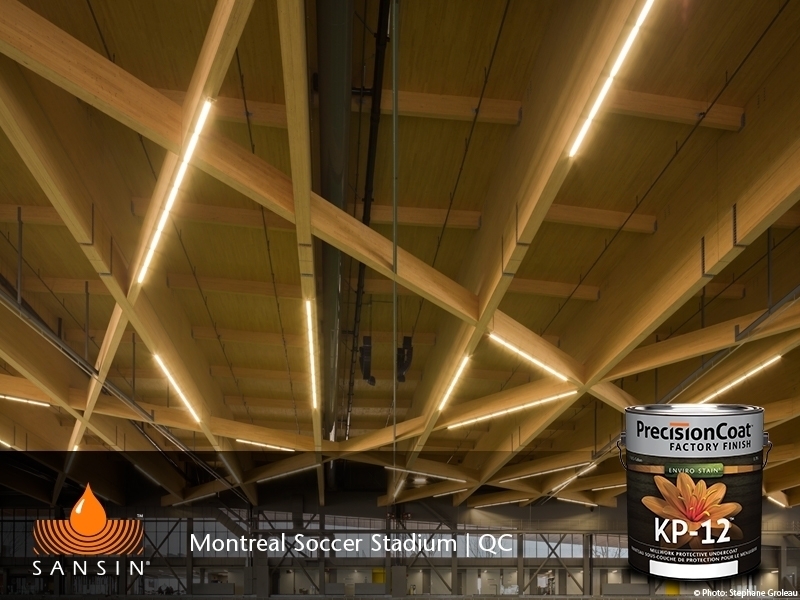 Conforms to ASTM 4446. 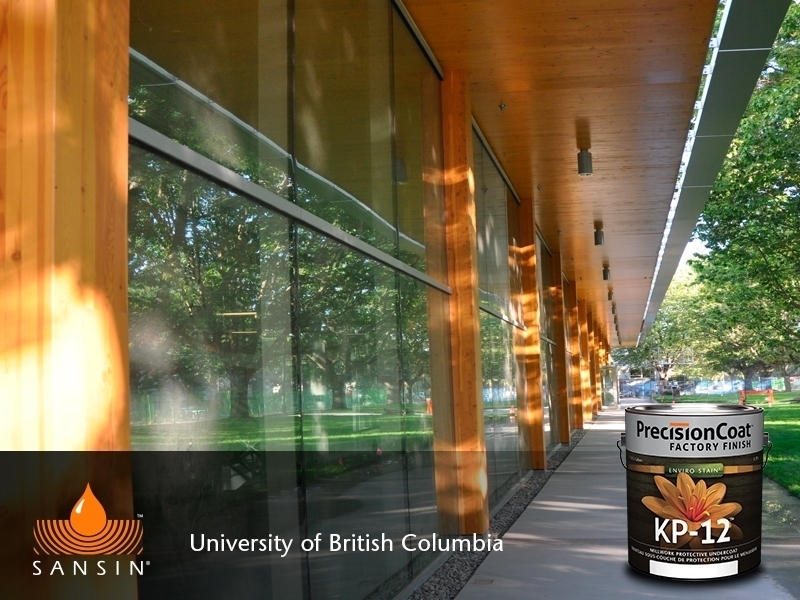 Protects wood against wood rot and weathering during construction.